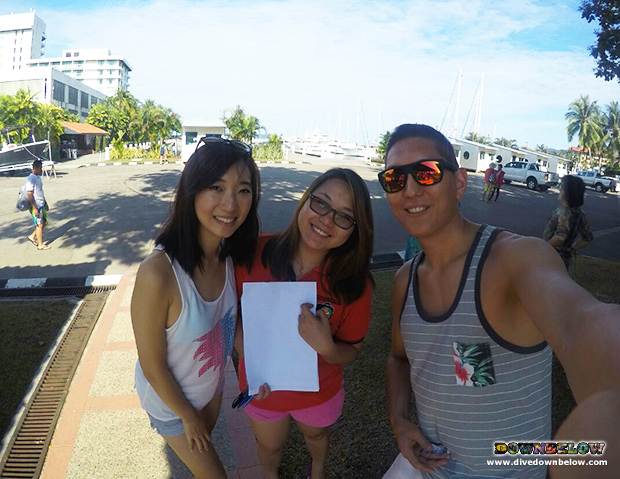 Home/Guestbook/Memorable Kota Kinabalu holiday with Downbelow! The whole Dive Down Below team is great and this was a huge contributor to us having a very memorable holiday with you. Thank you for your help all through the trip, and also thank you to Tim who was very professional, patient and made our diving course so enjoyable and successful. By Joanne Swann|2015-04-20T11:46:53+08:00April 20th, 2015|Guestbook|Comments Off on Memorable Kota Kinabalu holiday with Downbelow!